Once again, Samsung Galaxy S series has been reviewed as one of the most possible iPhone competitor. The new released Galaxy S7 really did a good job, better even than the excellent Google Nexus 6P and iPhone 6S. Let's now explore together how Samsung Galaxy S7 compared to iPhone 6S. What Samsung Galaxy S7 does better than iPhone 6S? 1 The Galaxy S7 is water-resistant. It has an IP681 rating, which means it can go more than a meter under water for around 30 minutes. 2 The camera is better. Samsung has turned every pixel in the image-capture chip into a focus pixel, a technology it calls “Dual Pixel.” Galaxy S7's camera can auto-focus faster than the iPhone 6s and takes better photos in the dark. 3 Battery life is longer and charge wirelessly and quickly. According to Cnet, the S7 averaged 16 hours in three tests, which is longer than iPhone 6S' 10.5 hours on the exact same test. 4 You can add more storage with a microSD card on Samsung Galaxy S7, while iPhone 6S does not support microSD card. 5 Galaxy S7 has an "always-on" screen, which lets you glance at basic information like date, time, and basic information about your notifications without having to wake the phones. It seems that Samsung Galaxy S7 is worth buying. Once you switch from iPhone to Samsung Galaxy S7, you may have other questions, like is it possible to enjoy iTunes movies and TV shows on my new Samsung Galaxy S7? Here we will tell you answer. How to enjoy iTunes movies on Android devices like Samsung Galaxy S7? 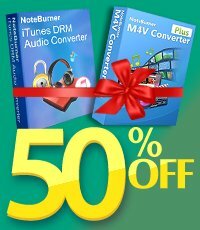 NoteBurner M4V Converter Plus is a professional DRM removal and iTunes movie converter which can help you remove DRM protection and convert iTunes movies and TV shows losslessly to Android devices supported MP4 format so that you can play the iTunes rented and purchased movies and TV shows on your Samsung Galaxy S7. Step 1: Launch NoteBurner M4V Converter Plus after you install it. Click "Add Movies" button on the upper left of the interface to add iTunes purchased or rented movies you need to convert. Also, drag-an-drop is supported while adding movies. Step 2: Click the selection button next to "Convert to" and choose "Customized MP4" format to change the parameters according to your preference. The DRM M4V Converter provides flexible options to customize output video. You can change the video codec, bitrate, size and even remove the scenes you do not need to preserve. Also, if you set output format as "Same as source for mp4" or "Same as source for mov", you can convert the iTunes videos with 5.1 audio track and all subtitles preserved. Step 3: Click "Convert" button to start removing the DRM protection and converting iTunes movies to normal MP4 video file. Once it finishes conversion, you can open the output folder to find the converted video file. Now you can transfer the converted iTunes movies to Samsung Galaxy S7 for enjoying. Step 4: Transfer the converted iTunes movies or TV shows to Samsung Galaxy S7 through USB port.